Buy and booking your tickets for Alhambra. "ONLY GUIDED TOURS IN SPANISH"
If you visit Granada, but only have a few days, do not hesitate and take the opportunity to visit the Alhambra. It is one of the most visited monuments in the world. Almost more than two million tourists come to visit the Alhambra. 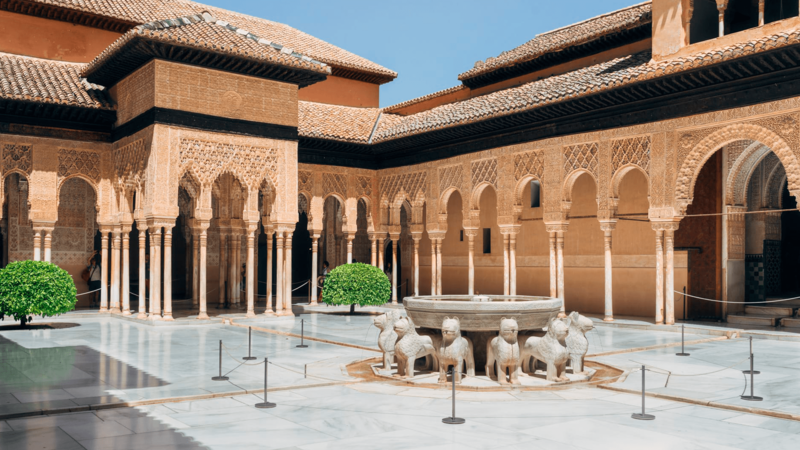 The monumental set of the Alhambra, has its palaces and gardens. Palacios Nazari de Alhambra formed by a group of small palaces with a series of structures. The gardens of the Generalife, place of recreation of the sultans of Granada, are currently held music and dance shows. The Palace of Charles V, since 1958, the palace is home to the Museum of Fine Arts of Granada, which has unique pieces such as a famous still life by Juan Sánchez Cotán and several examples of Alonso Cano. The Royal Chapel was built at the request of the Catholic Monarchs and its construction began in 1504, before the Cathedral. Queen Isabel La Católica expressly left written in her will how it should end. Emperor Charles V, grandson of the kings was responsible for its completion and also became the dynastic pantheon of the royal family. The Capilla Real is one of the last Gothic temples that were built in Spain, while the Cathedral of Granada was the first Spanish Renaissance temple. Tickets for the Cathedral of Granada can be obtained directly at the monument's box office. You can also buy a guided tour of Granada Cathedral and Royal Chapel. 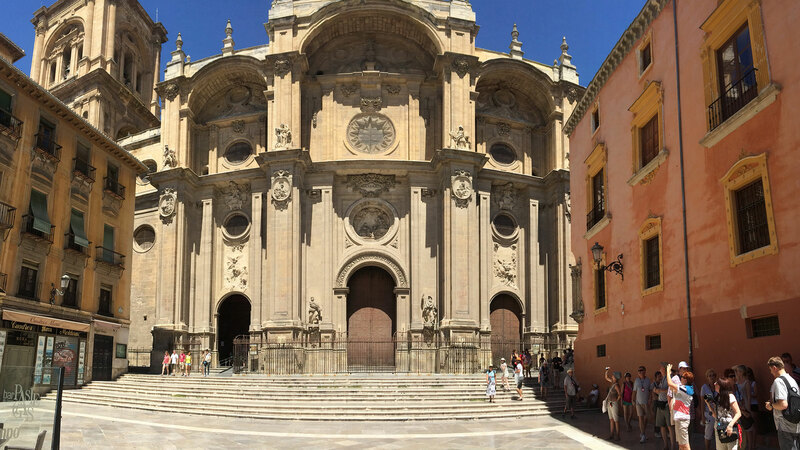 Get to know Granada with a guided tour of 2 hours to the Cathedral of Granada and the Royal Chapel. See the cathedral that took 181 years to build and its architectural styles. The neighborhoods of Albaycín and Sacromonte are two historic neighborhoods to visit in Granada. Grenada Muslim and gypsy land par excellence, whose maximum expression is in two key neighborhoods: the Albayzín and the Sacromonte. In addition, you will enjoy unique views of the Alhambra. Undoubtedly, an essential route if you come to Granada. 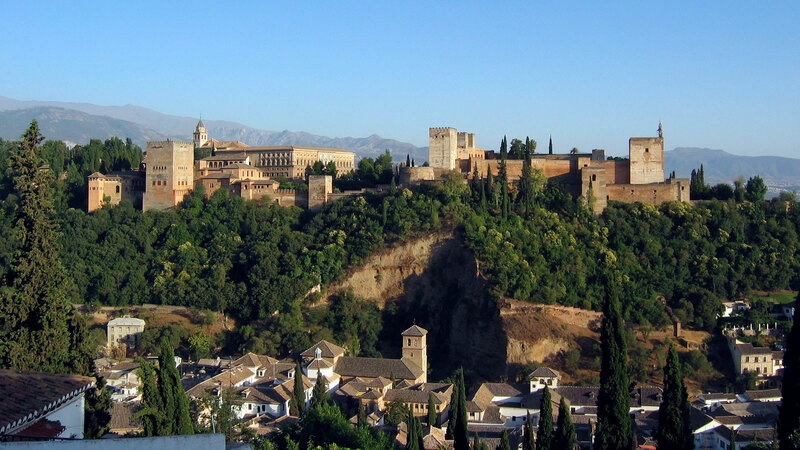 The Albaycín is next to a hill in front of the Alhambra and is one of the most typical neighborhoods of Granada. It offers numerous cisterns, Arab houses, very narrow streets from where you can enjoy stunning views of the Alhambra. The Sacromonte is famous for its caves, its gypsy zambras, its flamenco shows ..